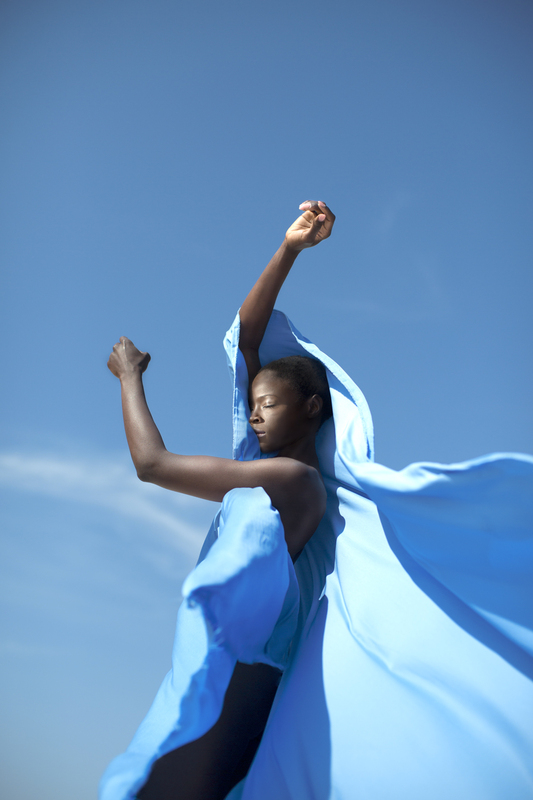 The Netherlands based-photographer Dagmar van Weeghel has created a series of photographs of a young Kenyan woman who moves to Europe and finds herself challenged of being the 'other' outside of Africa. This is a portrait of Lish, a young Kenyan woman who moved to Europe a few years ago. To fit into this new place that Lish finds herself, she battled with identity issues, depression and a disconnection from her roots (the Blues). Mombasa Blues explores the challenges of being the 'other' outside of Africa with different identities, cultures, absence of family and traditions. 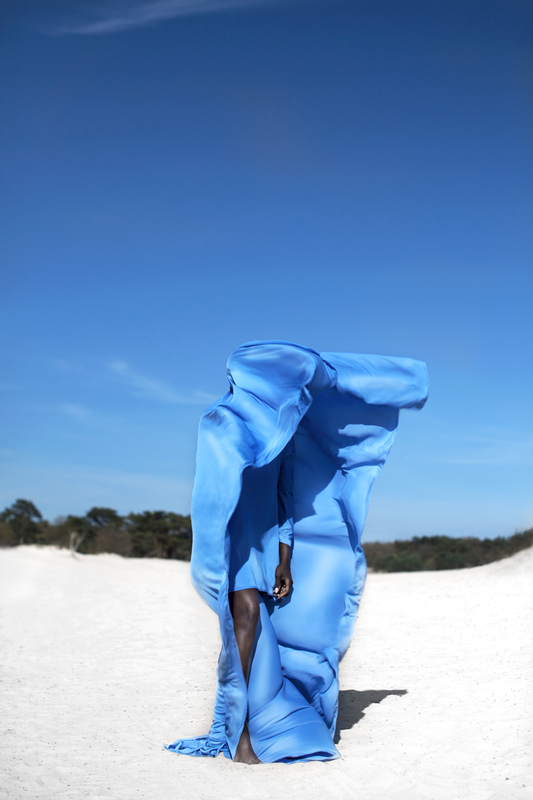 This body of work was taken in the Dutch Countryside but the natural environment resembled Lish's homeland with the soothing Kenyan coastline colors (the Blues).